Easter Season Stickers. 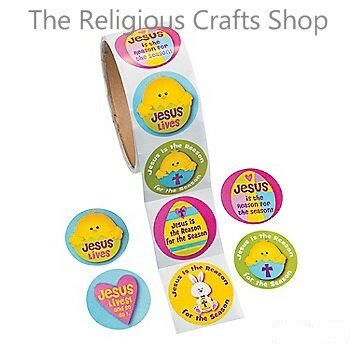 These stickers are bound to appeal to younger children with their cute and fluffy illustrations to accompany the simple Christian messages. Stickers measure approx 4cm.